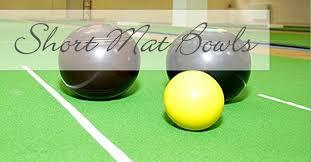 The Short Mat Bowls Club welcomes anyone – young or old to our Wednesday evening sessions. No special equipment is needed just come along and see how enjoyable it is! The club held their annual club finals in the hall on Wednesday 10th December. There was a semi final played between Alan Jones and Bryan Salter which Alan won. The final was between Alan Jones and Derek Johns which Derek won, so he is our new bowls champion. After the matches we had drinks and nibbles. On 3rd December a lovely young 7 year old boy called Nicholas joined us and we hope that he will come again in the new year. What a pity only members of the club turned up to our open evening on Thursday 23 October. Twelve of us had a fun evening with lots of laughter. We will always welcome anyone young or old to our Wednesday evening sessions. No special equipment is needed just come along to one of our regular evenings – Wednesdays at 7.30pm in the Parish Hall – and have a go.